handfull pumpkin leaves (ugu leaves). wash the dry fish and pick out bones. grind the ogbono,cray fish with a dry mill. wash,pick and chop the pumpkin leaves. cook the meat,intestine,shaki,cowskin and stock fish together with onions and small salt. after cooking drain them in a colander and set aside (dont throw away the stock you will need it soon). now in a dry pot melt the palm oil (do not allow it to get hot). 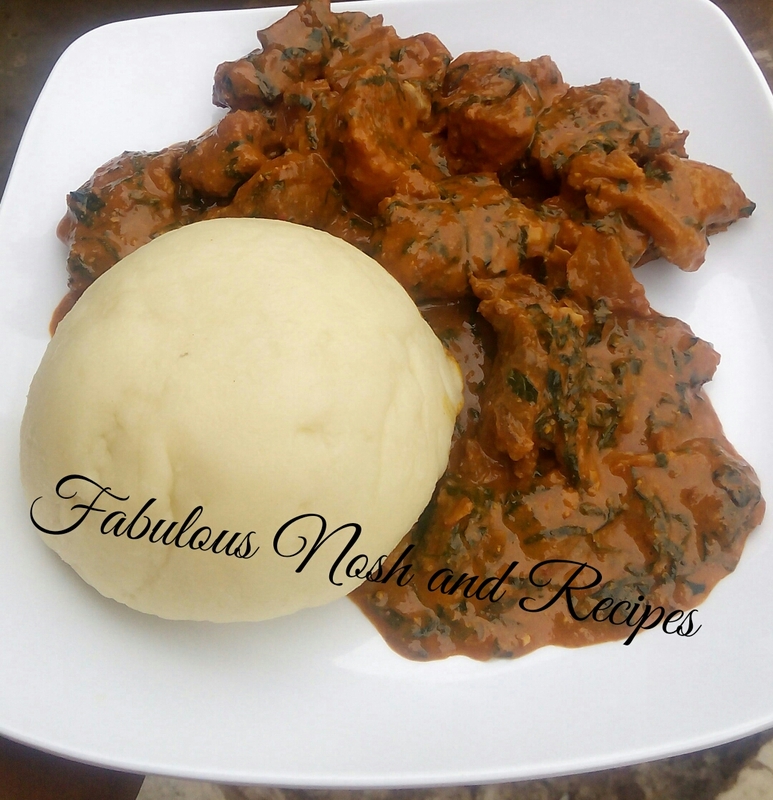 turn off the cooker and add the ogbono powder. mix very well till incoperated. now start adding the meat stock bits by bits slowly and stirring as well. now put it back on the cooker,stir on low heat vigrously untill it start to thicken and draw. if it feels thick add hot water to desired amount of thickness. cook on low heat for 20mins,stirring at intervals to avoid sticking to the pot. after 20mins add the atarodo and salt,stir. if it still feels thick add some water. now add the dry fish,meat,shaki,stock fish,intestine and allow to cook for few mins. add the pumpkin leaves and allow to simmer for 3mins.